A multiple production study of neutral strange particles in νμ charged current interactions has been performed using the full data sample from the NOMAD experiment. This analysis allows one to investigate the mechanisms of strange particle production in neutrino interactions. 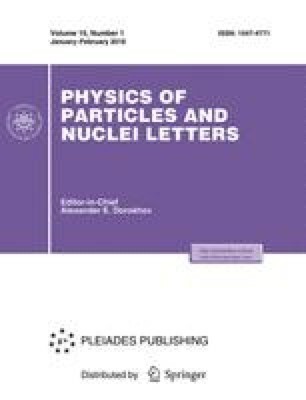 In this study we have tried to build a model for the production of strange particles, which would allow us to describe our measured rates of neutral strange particles, as well as the rates of the single-, double-and triple-V 0 production: Λ, K 0, \(\bar \Lambda \), K 0 K 0, ΛK 0, Λ\(\bar \Lambda \), K 0 \(\bar \Lambda \), ΛΛ, and K 0 K 0 K 0.